Yogurt has lactic acid ,clear the pores and softens your skin.Choose unflavoured, unsweetened ,no preservative,fresh,plain yogurt. 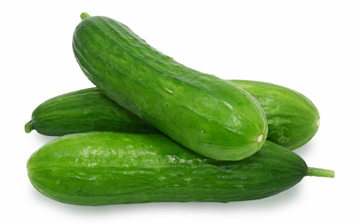 cucumber that has natural cleansing properties, it works great on skin. Cut Cucumber into small pieces, into a blender or food processor and puree.Now mix well with yogurt and apply on face and neck.Wash it off with cold after after 15 to 20 Min's. This face pack makes skin tight,results in brighter skin.It is good for dry or sensitive skin.